Processes for the recycling of carbon fibres are being developed but few low cost reuse routes exist. One option for the manufacture of an intermediate material which could be used in current composites manufacturing processes is the papermaking process for the production of non-woven mats commingled with thermoplastic fibre. 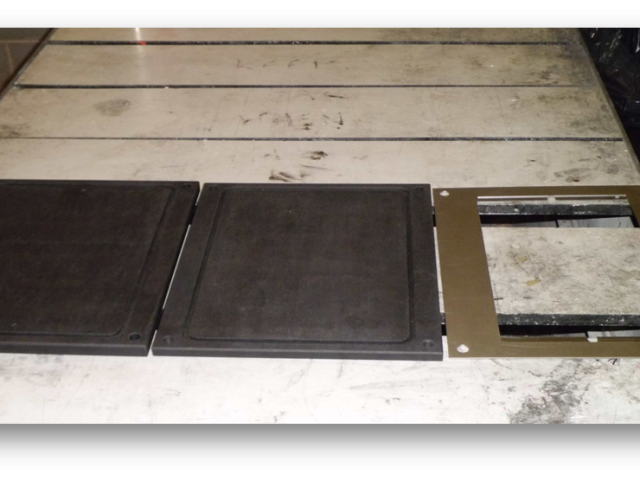 For this work Technical Fibre Products Ltd supplied various forms of recycled carbon fibre mat including 100gsm and 20gsm random and aligned materials. 12mm long virgin carbon fibre, Tenax®-A HT C124, was supplied by Toho Tenax and Toray T600 carbon fibre was recovered from MTM28-2 prepreg scrap supplied by Cytec via a fluidised bed process at the University of Nottingham. The fibres were commingled with Grilon BA3100 PA6/PA66 fibre from EMS-Griltech.Composite plaques were tested to determine their tensile and flexural properties. Void content within the plaques were measured. Interfacial adhesion between fibre and nylon matrix was analysed via SEM images. Due to the 2-phase nature of the polymer employed in these trials significant issues were encountered with optimisation of the moulding temperature and pressure. The project encountered difficulty in producing truly random or aligned mats. The long and curly nylon fibre reduced the quality of fibre alignment. Reinforcing properties of the recycled carbon fibre appeared lower compared to the virgin counterpart and this was attributed to the shorter fibre length and poorer dispersion of the filaments. The project has successfully demonstrated a promising route to market for recovered carbon fibres and has identified a number of key technical challenges currently preventing exploitation.